He wasn't expected to survive. No one else did, and for twenty years, he has managed to stay off their radar. Until now. Until her. 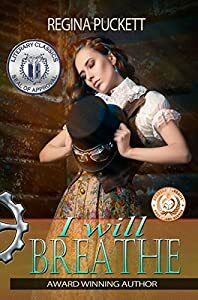 Gryffin was the sole survivor of The Foundation's experimental project to transform human children into hybrid cyborgs - half human, half machine. The program failed and he was sent on a one way trip into The Outer Sector where he was left for dead. 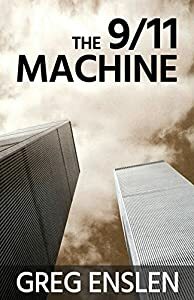 He has survived for twenty years by suppressing his human emotions and embracing his machine side. Officer Terra Rush believes in her duty to the Foundation. The Sector needs to be prepared for colonization, and nothing can stop her from doing her job...except him. 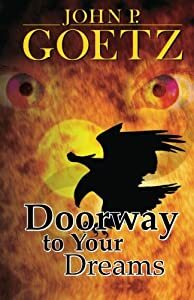 When Gryffin saves her from an attack, Terra uncovers a terrible secret. The Foundation has been lying to her...and maybe they still are. A great sci-fi that kept me entertained, this is a novel that makes you want to read more. The story unfolds in the best possible manner and the characters are well developed. It was a joy to read. Kudos to K.A. Finn for writing such a great novel. Megalops is an Aquarian, a human-dolphin hybrid who lives in one of the many reef-cities that thrive beneath the waves on an Earth ravaged by climate change. Some of the Humans who cling to the barren lands blame Aquarius for their plight and unleashed the Medusa Plague that entombed Megalops's wife and daughter in stone. Tormented by that loss, Megalops dedicates everything to avenging his murdered family, no matter what the cost. He unleashes a Vendetta Virus as cruel and lethal as the Medusa Plague, a bio-weapon that transforms living Humans into Aquarian corpses. Ocypode -- one of the heroes who stopped the Medusa Plague -- and his band of Human and Aquarian allies battle desperate odds to prevent Megalops from committing an act of genocide that will escalate into global conflict, dragging the Earth's other humanoid species into the chaos. War demands sacrifice. If Mother Earth and Mother Ocean wage war against each other, will anyone survive? Winner of the 2016 Readers' Favorite Gold Medal award for Science Fiction. Dr. Donald Ellis lost everything on 9/11. He lost his wife and daughter in the south tower of the World Trade Center. But while others grieved, or plotted revenge, Dr. Ellis threw himself into a long-dormant research project. He traded his lab at the University of New York for an ugly riverfront warehouse in Brooklyn. What is he working on? And why does he spend every free moment at the warehouse standing by the river, staring across the water at Ground Zero? Because Dr. Ellis has a plan: he's going to make 9/11 "unhappen." I asked him once why I had to do all the fighting while he watched from the shadows. He said he couldn't be replaced. But I could be. My name is Jonathan Tibbs. I'm the one standing between Earth and the Enemy. They tell me every hero's story follows a path. If I'm going to save the world, I have to find a different one. "Only trust a man with power when he is wise enough not to want it." 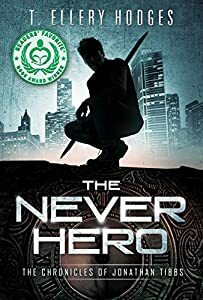 The Never Hero is the first installment in The Chronicles of Jonathan Tibbs -- a mind-bending, genre crossing, multiple award winning, action-adventure trilogy. *The Chronicles of Jonathan Tibbs has sold over 50,000 copies worldwide and garnered over 5000 5-Star Reviews on Amazon, Audible, and Goodreads. "Thought provoking, action packed, psychological and smart." "I have a feeling I will be mulling over the philosophical ideas presented in this book for a very long time. Interesting, thought provoking, inspiring. Write faster, we need more books that pull on heart strings and keep the reader totally involved." "The Never Hero is a book I wish I hadn't read -- so I could read it for the first time. Hodges has crafted a superb story about a hero who isn't. But he is. Even though he isn't. He has created a literary landscape equal to to the task; a story that comes upon you slowly, then grabs you by the throat and refuses to let go. I can highly recommend both this title and author. If you enjoy scifi, this will thrill you. If you enjoy being surprised, this will catch you completely off guard. I was upset it was over. I want more!" "Say Joss Whedon's Buffy The Vampire Slayer got together with Christopher Nolan's Inception and made a baby. Then, M. Night Shyamalan's Unbreakable got together with Orson Scott Card's Ender's Game and made a baby. Then those two babies grew up, eloped and had a love child, who they put up for adoption, and was raised by the surrogate parent's of Sylvester Stallone's Rocky and the Wachowski Brother's Matrix, but had a crazy Uncle they all called The Karate Kid... Then you might get something as awesome as The Never Hero." 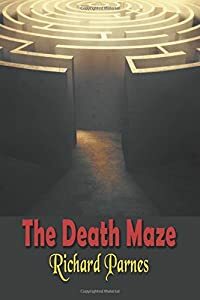 "A thriller with a touch of the supernatural and a rock-solid pace." Kirkus Reviews. "Never set him free, Tim. Never let him gain control. You'll be lost forever." Those were the last words that flashed in helicopter pilot, Tim "Spooncake" McAllister 's mind before he lost consciousness in the jungles of Vietnam. “Have you ever wondered what the world would be like in eight hundred years time? Have you wondered what humanity would be like after an Armageddon or apocalyptic disaster? Would the human race even exist? And what in what manner would those surviving humans thrive? Will the entire solar system break down in this futuristic thriller? The solar system is destabilizing. Separatists attempt to assassinate the U.N. Secretary-General. Territories are seceding and acquiring antimatter weaponry. 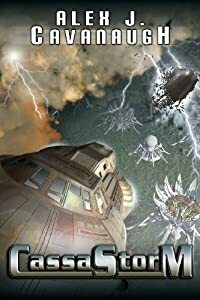 Just as all-out war seems inevitable, alleged extraterrestrials attack colonies throughout the solar system, forcing humankind to work together to combat the invaders. If the U.N. loses its ability to keep the peace, human civilization may stumble back into the dark ages. 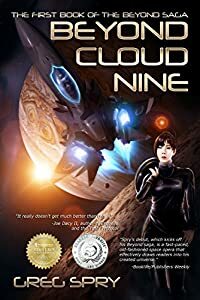 Scroll up to grab your copy of Beyond Cloud Nine now! Stealing tea cups and saucers from the Titanic wreck site is not an easy task. 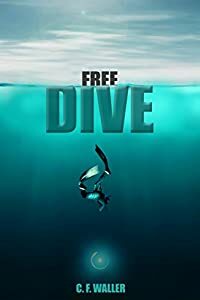 Doing it without getting your feet wet and attempting a free dive is even harder. Dexter Knight and his two mismatched partners have managed to do it, but are finding it difficult to turn their acquisitions into cold hard cash. When one such sale goes horribly awry, they wind up hijacked, along with their technology. 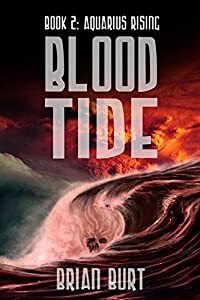 Unsure if he’s now working for a government agency or a criminal conspiracy, Dexter finds his team dragged out to the oceans deepest spot, the Marianas Trench. There, beneath seven miles of sea water, lies an unknown object far more intriguing than fine china. While Dexter would prefer to get back to civilization and dry land, he finds himself pondering a more ominous question. If he leaves without solving the mystery beneath the waves, will there be any civilization to go back to? Rated one of the best marine scifi in sea stories in kindle fiction around. "An epic scifi sea adventure!" 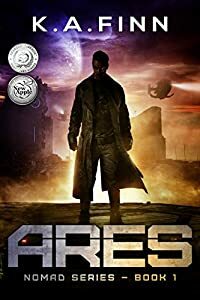 "A can't miss epic scifi artificial intelligence adventure!"